A awesome top down space shooter! Your ship runs on a 30 second battery that can be recharged by recycling 10 pieces of space junk. Very fun to create, hope you'll enjoy it! 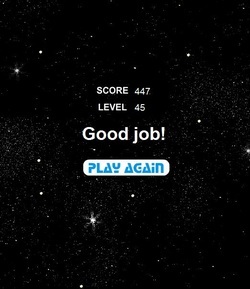 Instructions: Navigate with the arrow keys and press the space bar to use your Recycler Beam.